To reach those goals, meetings are regularly organized with contributions from specialists in medical disciplines, engineers, physicists and information scientists from universities, hospitals, research centers and industries to stimulate cross-disciplinary exchanges. ISCAS organizes conferences every year during CARS. Previous meetings took place in San Francisco (2000), Berlin (2001,2005,2007,2009, 2011), Paris (2002), London (2003), Chicago (2004), Osaka (2006), Barcelona (2008), and Geneva (2010), Berlin (2011), Pisa (2012), Heidelberg (2013), Fukuoka (2014), Barcelona (2015), Heidelberg (2016), Barcelona (2017), Berlin (2018). The next ISCAS congress will be in Renne, France (Germany) in June 18-21, 2018. 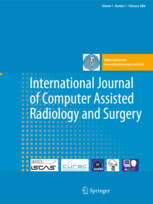 The objective of the accreditation process is to evaluate, improve and publicly recognize programs or sponsoring institutions active in Computer Aided Surgery (CAS) research and training. Accreditation is developed to improve the quality of teaching, learning, research, and professional practice. Access to ISCAS accreditation guidelines. The IRDC Academy and the University Hospital Leipzig present the annual Training Course for ENT-Surgery from 2010 July 8th – 10th focusing on middle ear, temporal bone and lateral skull base surgery. For more info, please contact Purang Abolmaesumi.